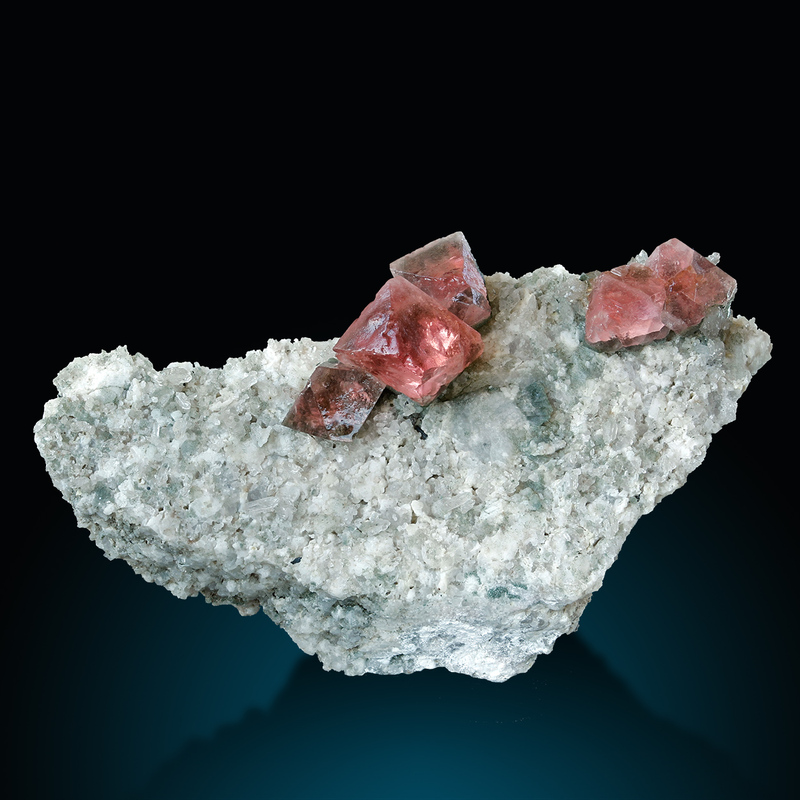 Sharp termianted, isolated pink octahedrons (up to 15mm across) from this very rare locality. The most exposed crystal is set in the middle at the top of light matrix. 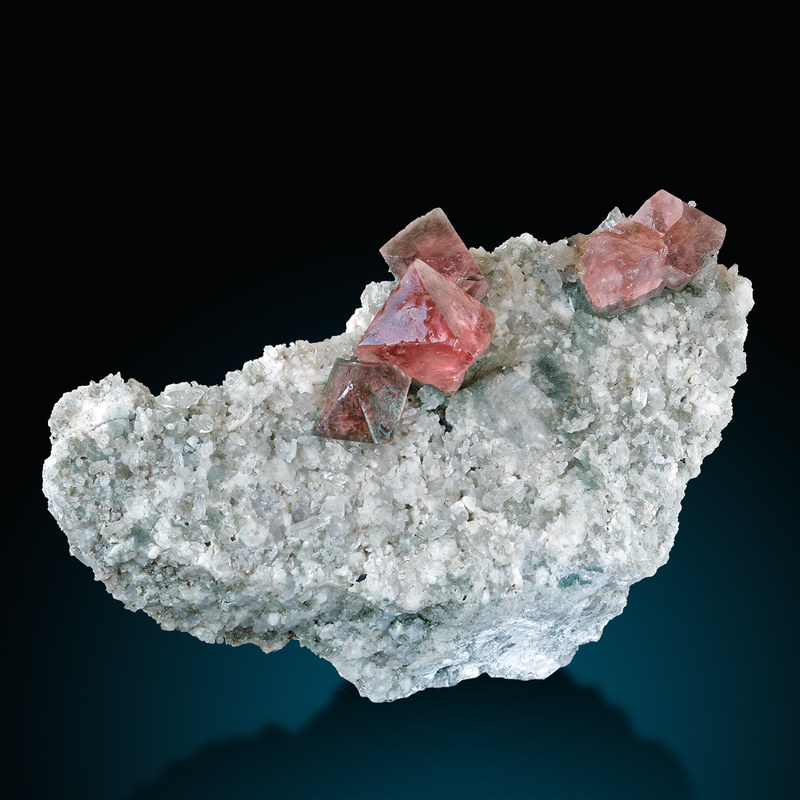 Alpine pink fluorites are generaly rare, but on matrix, with this aesthetic assemble and even from a rare locality - that is really a high-score! No significant damages to report.